Once the colour is fixed, your tropical design is there to stay, totally indelible and fade resistant. 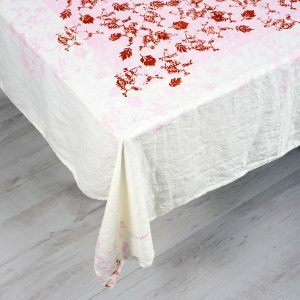 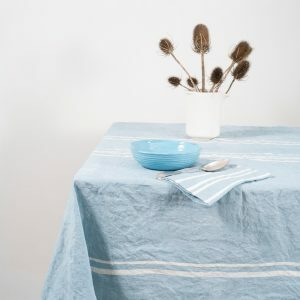 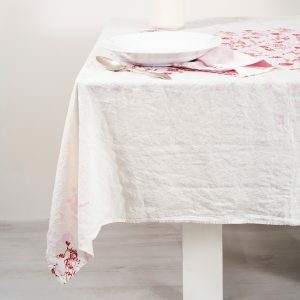 Using all natural processes and techniques, these tropical tablecloths and their like have been created in the same way for generations, providing a brightness and vividness of tropical colour that will not only remain but brighten after each wash. 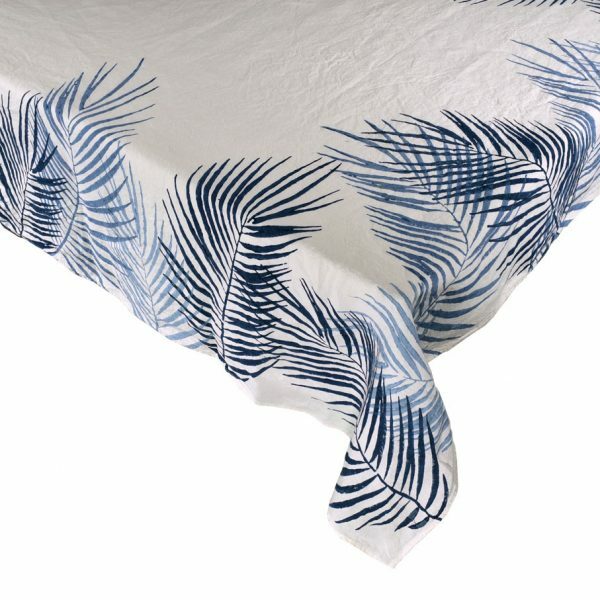 Created using traditional Italian artisan techniques yet keeping in mind sultry tropical blends, the block-printing moulds have been created in line with age-old traditions, stamped onto a linen that is durable and ecologically sensitive. 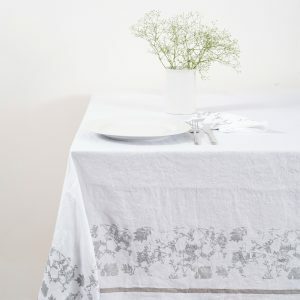 Brought to life in workshops where time passes slowly and quality is key, each linen creation is absolutely unique. 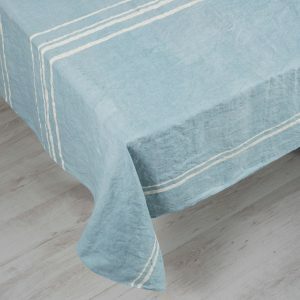 The cultures, personalities and styles of these craftsmen are committed to cloth, resulting in a stunning hand-crafted tropical palm-printed tablecloth from AllÓRA, all created using wooden moulds and blocks both ancient and new to colour the linen that will become a much-treasured family favourite. 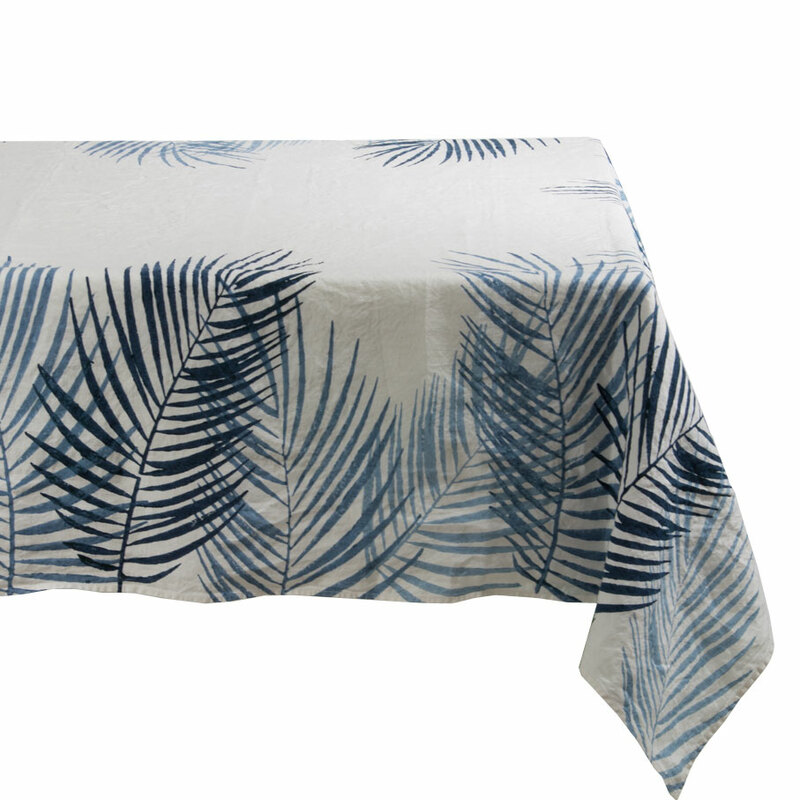 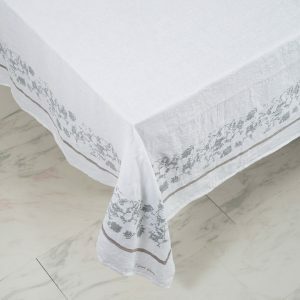 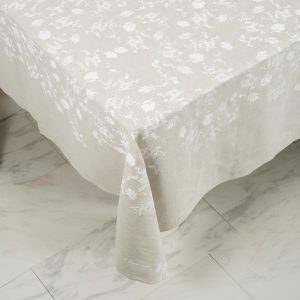 When you purchase from the AllÓRA tropical palm collection, you will be adding to your family’s heritage, becoming the owner of a beautifully and lovingly created linen tablecloth. 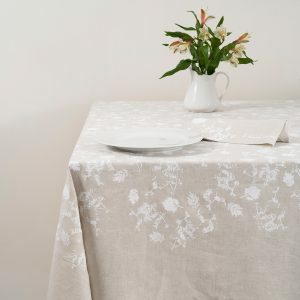 Full of charm and character, it will add the finishing touch to any occasion, be it breakfast with the family or a leisurely outdoor dining occasion. Take your pick now from our exquisite choice of block-printed palm tablecloths, perfect to use in your home or to give as a thoughtful gift to a friend.